Take serving plate. Arrange bhakharvadi, spread sprouts, onions, tomatoes, potatoes. Pour greenchutney, dates and tamarind chutney, sweet curd. 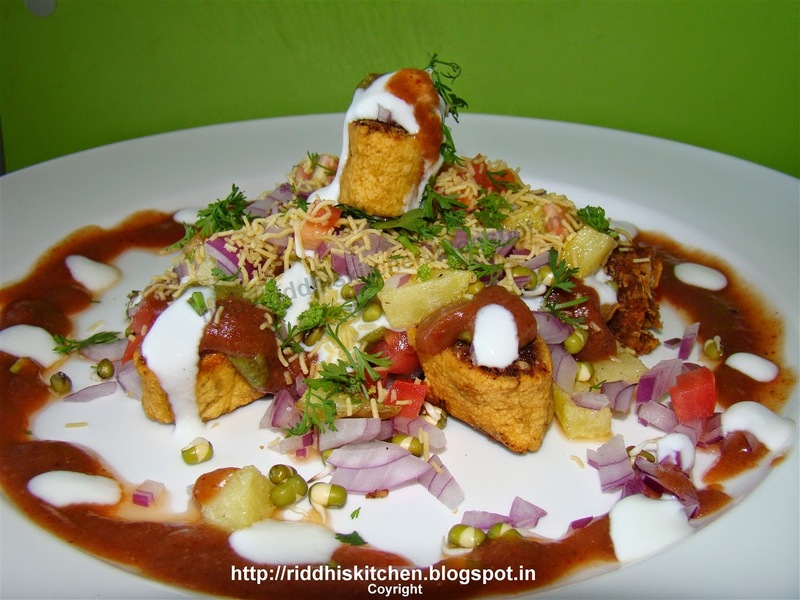 Sprinkle chaat masala, red chilly powder. Spread nylon sev and fresh coriander leaves and serve it.